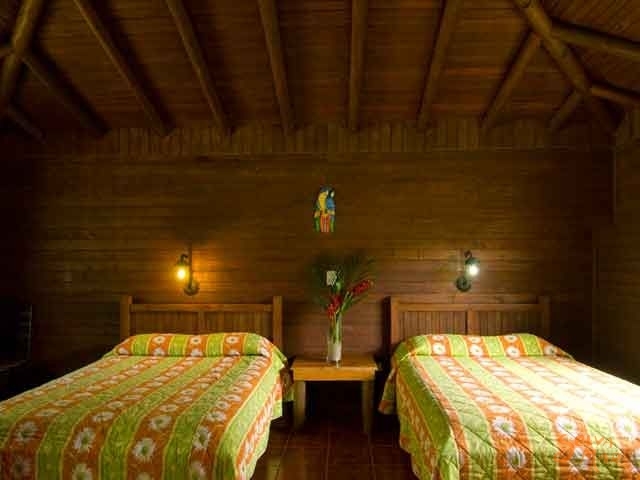 When looking for a beautiful mountain hotel in the Guanacaste region, Buena Vista Lodge is the best option. Buena Vista Lodge, with its stunning views, comfortable rooms and excellent service is a superb place to relax and enjoy the wide range of activities that we have to offer. We hope that you join us in this amazing location where you can experience the natural beauty of Rincon de la Vieja Volcano area and get your adrenaline pumping with our adventurous activities. Your visit to Buena Vista Lodge will be a magnificent experience that you will never forget. Since 1991 Buena Vista Lodge has offered its great service and hospitality in the traditional Guanacaste style of a rustic hacienda ambiance. We are situated in a mountainous zone in which we are able to protect and maintain the native wildlife. On behalf of all the staff here at Buena Vista , we´d like to welcome you to our lodge, know yours! We have 86 comfortable rooms, double and single, constructed in wood and stone, each one with a private bath and hot shower. The climate here varies from month to month. We are only 40 kms ( 25 miles ) from the coast and you can already appreciate the diverse microclimates. Our whole reserve is 2000 acres , of which 1400 acres are destined for reforestation and the remaining 600 acres are used as cow pastures which supply the hotel with 50% of the meat , milk, fruits & vegetables. We have various options, so you will be able to get to know and appreciate the tropical humid forest's nature and wildlife. 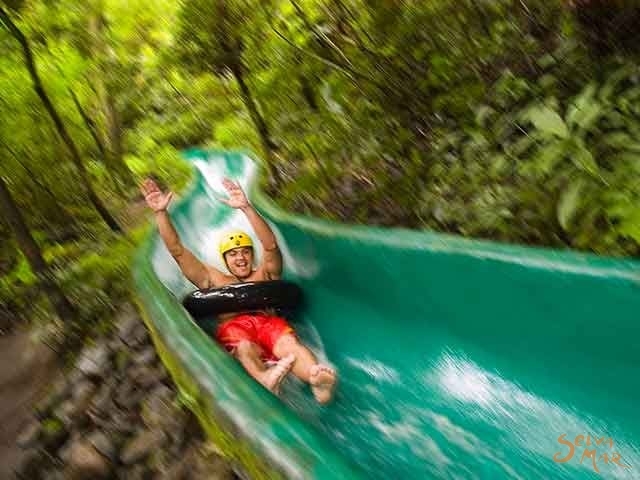 You can hike through the trails, ride horses, explore the waterfalls, relax in the hot spring spa, travel above the canopy on zip lines as well as in hanging bridges; or slide through the forest in our 425 meters water slide. We have fax and telephone service, a safe in the office for your personal belongings, laundry service, wake up calls, andand security guards. We also offer massages, internet and paramedic service. For the enjoying of national and international liquors, cocktails and natural drinks, we offer three friendly bars with surprising views where you can enjoy national and international liquors. We have also a Conference Center for meetings or any other kind of event. 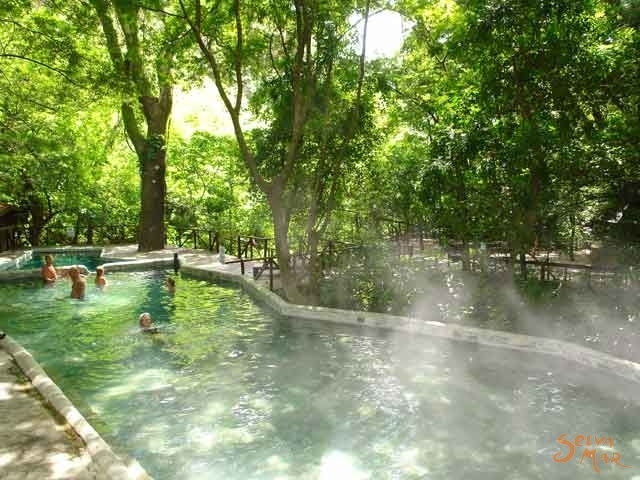 You can relax and tan in the wonderful sun of Guanacaste in our large ecological pool (natural water from a river). With the advice of our staff, you can pick and choose your excursions and adventures to explore the natural beauty around Rincon de la Vieja area. We accept : Visa - MasterCard – Amex and travelers checks. This tour lets you observe different types of vegetation of which you will find the transitional forest and the tropical humid forest. 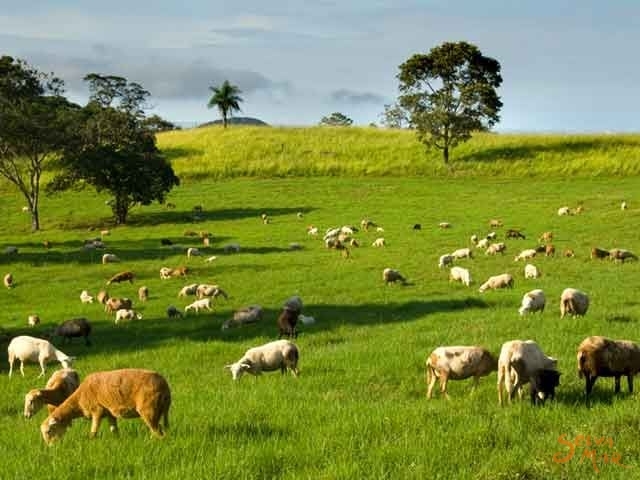 You can also enjoy the views of the Guanacaste savannah. 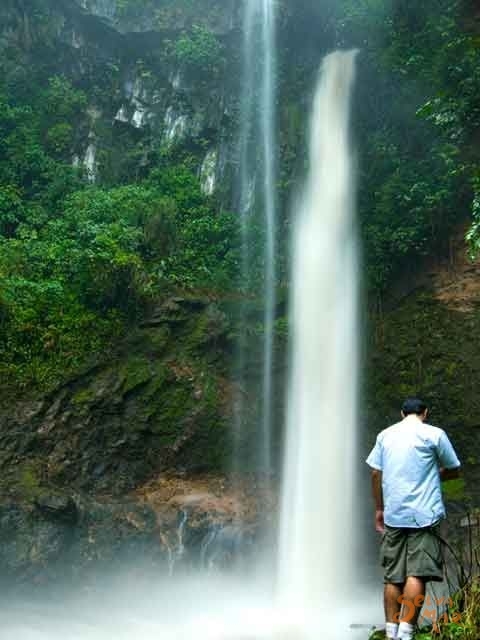 The waterfalls are hidden within the forest and derive from the Salitral River, which originates in the outskirts of the Rincon de la Vieja Volcano. During the journey you will be able to appreciate the great biodiversity of the flora as well as fauna in this zone. It is possible that you will be able to witness many different types of animals like spider monkeys, white face monkeys, howler monkeys, agoutis, deer, squirrels, coatis and ant eaters and also birds like the toucan, motmot, bell bird and the aracari. The first waterfall, Mina de Azufre, has a height of 25 m. (81.25 ft.) The second fall, El Toboggan, with a height of 5 m . (17.72 ft.) offers a rare natural waterslide with a refreshing pool at the end. In these two falls, you are able to wade or swim if you would like. The last fall is the most spectacular. It is 40 m . ( 130 ft .) in height and then runs down a 200 m . (650 ft.) slope. The magnificent view that this fall offers makes this descent an unforgettable adventure. Access to the falls can be on horse, whose tour lasts 3 hours or a long hike which will take 4 and 1/2 hours. Our Hot Spring Spa is a gorgeous hidden paradise surrounded by forest, streams, and wildlife. The spa includes five spacious hot spring pools, each of which has a different temperature to accommodate every guest. In addition to the pools, there is a beautiful sauna constructed of rocks where you can relax and soak up the heat. Also available at this luxurious spa you can revitalize your skin with volcanic mud. After stepping into the nearby showers this special mud will leave your skin feeling smooth and healthy. Bathrooms, changing rooms including lockers and towels, as well as a bar and a cafeteria are all at your convenience while you are visiting the Spa. There are various ways to access this magical hot spring spa. By walking you will arrive in 1 hour, by horse in 40 minutes, and by tractor in 20 minutes. 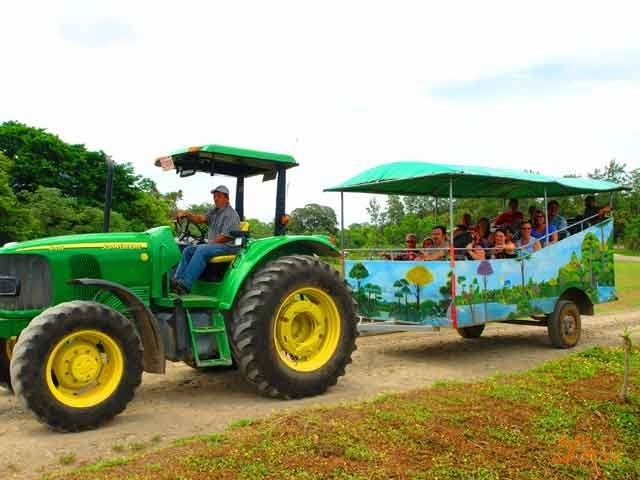 We have three tractors with an overall capacity of 67 people, and are always available to visiting groups. Whatever way you choose to reach the spa you will greatly enjoy the trip there and the delightful destination. 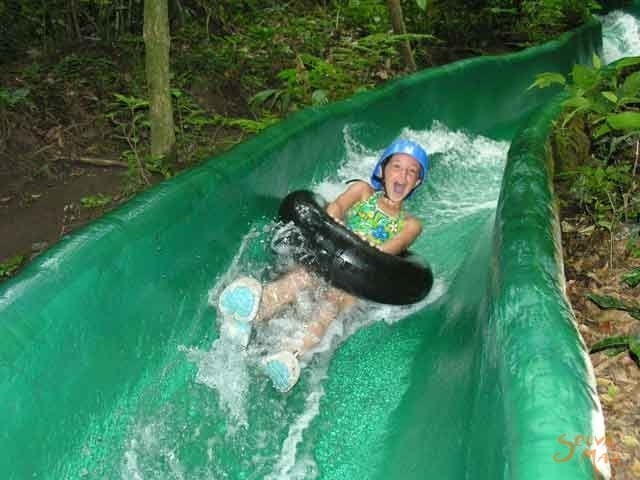 Our waterslide is the only one of its kind in Costa Rica constructed totally inside the forest. It is 420 m. (1365 ft.) long and guarantees an exclusive, original and very exciting experience. We offer safety equipment like helmets, inner tubes and leather protectors to sit on. We also have lockers and towels. Walking distance from reception. Here you can appreciate nature from high in the trees, hiking during the day or night, where you will have the opportunity to observe the great diversity of fauna but moreover the flora. The aerial bridges are a total of 780 m . ( 2535 ft .) long and the journey will take about 1 hour to finish. We have nature guides, specializing in the flora and fauna of the zone. Some of the fauna that you will be able to observe from the bridges are coatis, armadillos, deer, white face and howler monkeys and a great variety of birds like toucans, motmots and bell birds. 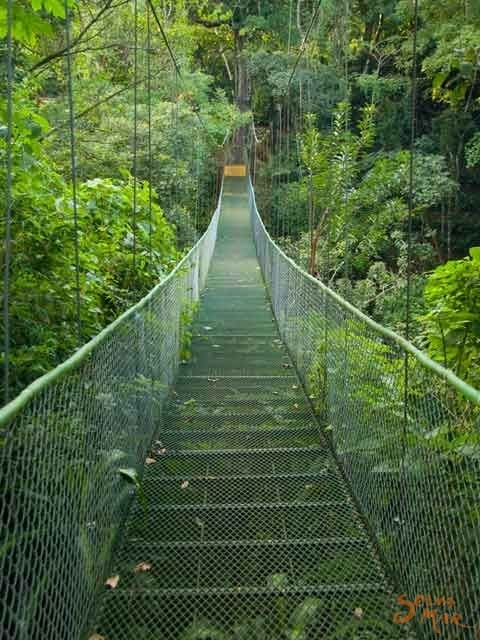 The journey of the aerial bridges starts near the waterslide and ends near the last platform of the canopy tour. Another place where you can enjoy hiking on aerial bridges is at the Buena Vista waterfall, the tallest of all the falls. You can journey through these diverse bridges to arrive at the hot springs from the waterfall. This is an interesting hike that takes place in the trails of the property and lasts 2 hours, from 5:30 to 7:30 am. You will be accompanied by a guide who is an expert in the native birds. Here you will be able to observe a great diversity of birds like toucans, Long-tail Manakin, Crested guan, Blue Jays., etc. 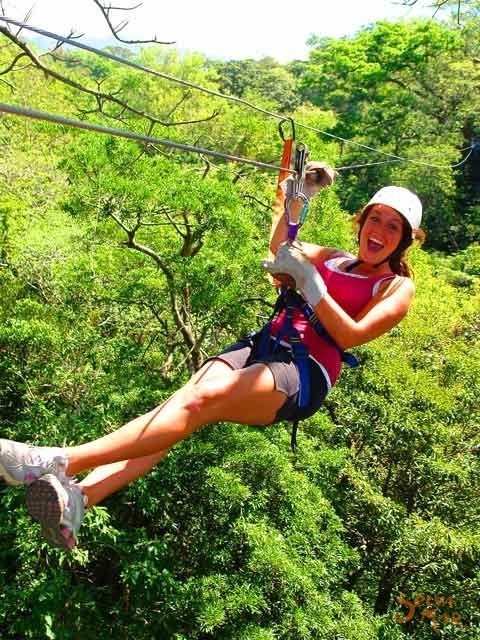 The canopy tour is an entertainment more than a sport. It is a voyage through and over the trees of a Tropical Humid Forest where you will be able to appreciate the diversity that exists at these heights. Initially our guides meet the adventurous people and give them the safety equipment and other accessories that they will need. After a short hike of about 15 minutes, you will arrive at the first platform. It is here where the guides give precise instructions so that one can completely enjoy this adventure. Minutes later, you will proceed to slide down the cables with a pulley, which permits the rider to move from one platform to another, always from tree to tree. 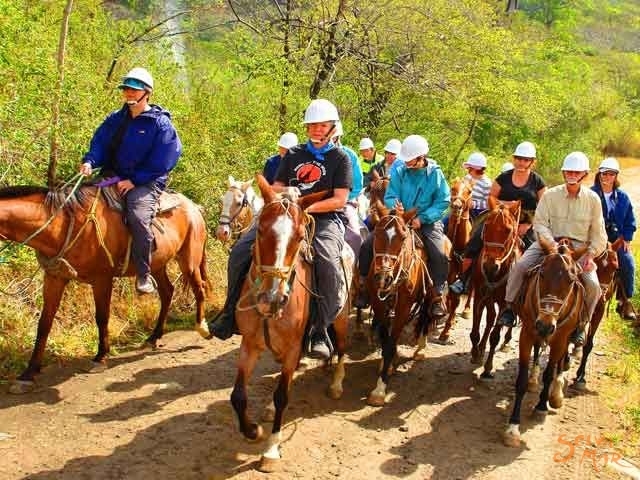 The trip that is made in this activity implicates the use of strict safety measures with the best tools and equipment. Our bilingual guides are highly qualified in rescue and they know every detail of the journey. They are constantly monitoring emotions, fillings and safety of each rider. The attention of the guide is highly personalized and they are always thinking of the comfort and fun of our clients. Depending on the time of year and the weather conditions it is possible to observe a great variety of flora and fauna up in the trees of the canopy tour. You will be able to see howler monkeys, white face monkeys, crested guans, coatis, agoutis and toucans. We recommend that you pay close attention and follow word for word every instruction that the guide will give you. The Herpetological Park is a conservation and education center where guests can learn all about Costa Rican reptiles and amphibians. This diverse collection includes many types of snakes, poison dart frogs, and leaf frogs. The center is named in honor of the largest viper in America called the Bushmaster (Lachesis melanocephala). The Bushmaster is one of the most amazing animals of the neotropics. Our collection of reptiles and amphibians is divided into four separate species sections. The tour begins with a close look at the common snake. As you continue you will see the coral snake, one of the most venomous snakes in the world. We also have an extensive collection and 2 separate rooms dedicated to boas and vipers. At the end of the tour there is realistic rainforest stimulation where you can see frogs hopping on the forest floor and butterflies fluttering among the trees. The Buena Vista Combo is a full day tour that includes the canopy tour, our thrilling waterslide and a visit to the hot springs spa. Throughout your day you’ll also be able to enjoy the peacefulness of this naturally stunning forest. We have a team of experienced guides that will lead you during this tour. A delicious buffet lunch full of traditional Costa Rican specialties is also included in the Buena Vista Combo. 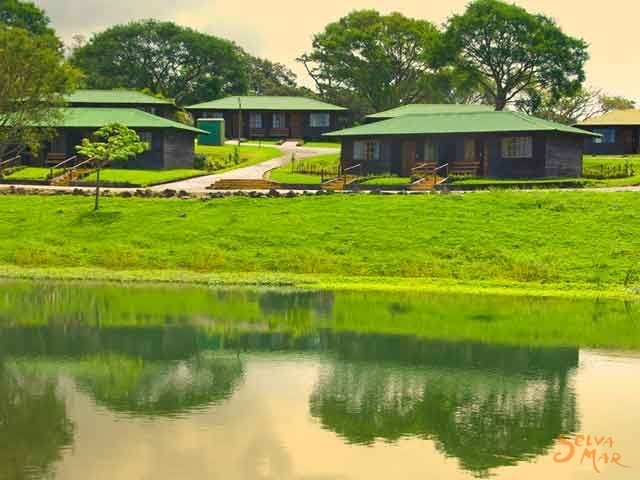 Buena Vista Lodge is located on the outskirts of the Rincon de la Vieja Volcano in the province of Guanacaste , 31 kms ( 20 miles ) from Liberia and about one hour from the International airport in Liberia . You can arrive at Buena Vista Lodge in whichever kind of vehicle, from a sedan to a coach bus! We are between 400 and 1200 meters above sea level, bordering the Rincon de la Vieja National Park. We offer to our visitor’s extensive areas of private reserve forest that borders the forest of the national park. 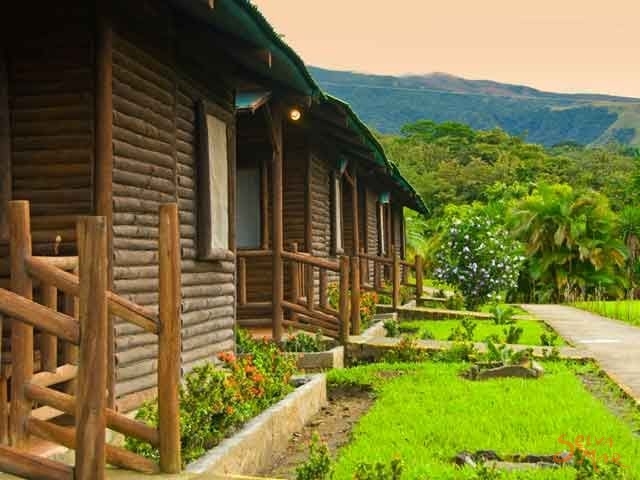 From the lodge you can enjoy the magnificent views of the Guanacaste plains, the Rincon de la Vieja Volcano and the Papagayo Gulf with its impressive sunsets.